Afmetingen van deze voorvertoning van het type PNG van dit SVG-bestand: 512 × 341 pixels Andere resoluties: 320 × 213 pixels | 640 × 426 pixels | 800 × 533 pixels | 1.024 × 682 pixels | 1.280 × 853 pixels. Türkçe: Open Clip Art web sitesinden Birleşmiş Milletler'in bayrağı. Denelson83, Zscout370 ve Madden taraflarından değişiklikler yapıldı. Resmi yapılış sayfası burada bulunur. English: Flag of the United Nations from the Open Clip Art website. Modifications by Denelson83, Zscout370 and Madden. Official construction sheet here. 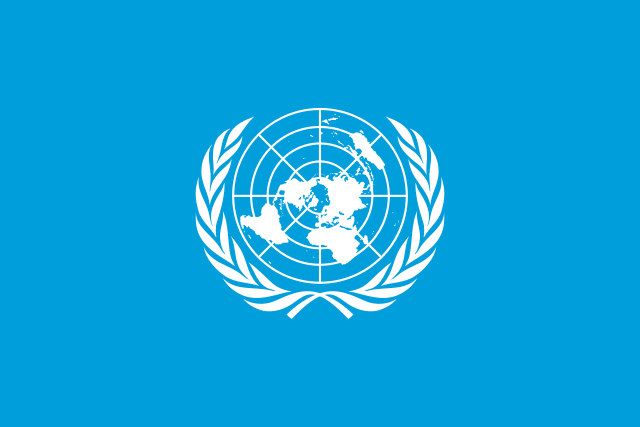 United Nations ( 1962 ) The United Nations flag code and regulations, as amended November 11, 1952, New York OCLC: 7548838. This work is excerpted from an official document of the United Nations. 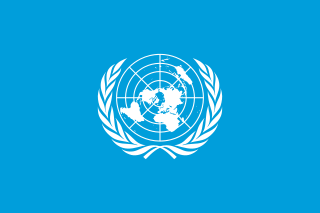 Prior to 17 September 1987 it was the policy of this organisation to not seek copyright, keeping most of its documents in the public domain, in order to disseminate "as widely as possible the ideas (contained) in the United Nations Publications" (detail). UN works not in the annex to Administrative Instruction ST/AI/189/Add.9/Rev.1 (available in English) published in the US before 1978 are in the public domain because they were published without a copyright notice. UN works not in the annex to ST/AI/189/Add.9/Rev.1 published in the US between 1978 and 17 September 1987 are in the public domain because they were published without a copyright notice and their copyright was not subsequently registered with the U.S. Copyright Office within 5 years (from 1978 through 1993 the UN did not register any document published in the US before 17 September 1987). it is not sourced to a document listed in the appendix of ST/AI/189/Add.9/Rev.1 (these documents were copyrighted under an exception to the general practice). This work is copyrighted in jurisdictions that do not apply the rule of the shorter term for US works or that specifically extend local copyright protection to works of the U.N. Note: you must include evidence that this work appears in an official document of the United Nations published in the United States prior to 17 September 1987. 11 dec 2011 09:22 1.200 × 800 (67 kB) Zscout370 Thank you for the globe changes, but Pantone has an official converter at http://www.pantone.com/pages/pantone/colorfinder.aspx and using 279 C from this site. This is preferred for all flags used on the Commons.